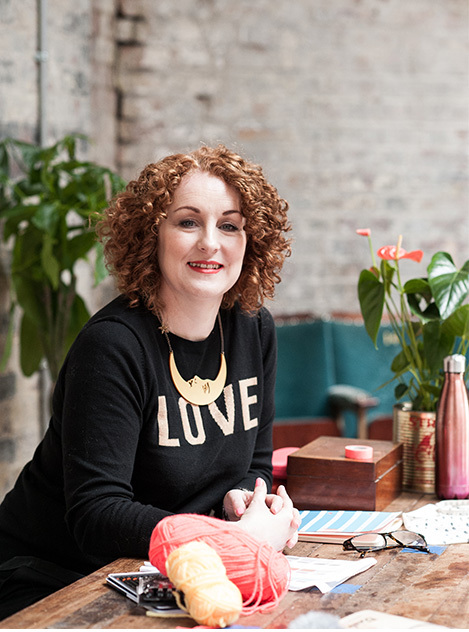 We are so happy to interview Tracey Samuel, founder and designer of playful brand The Bonnie Mob. 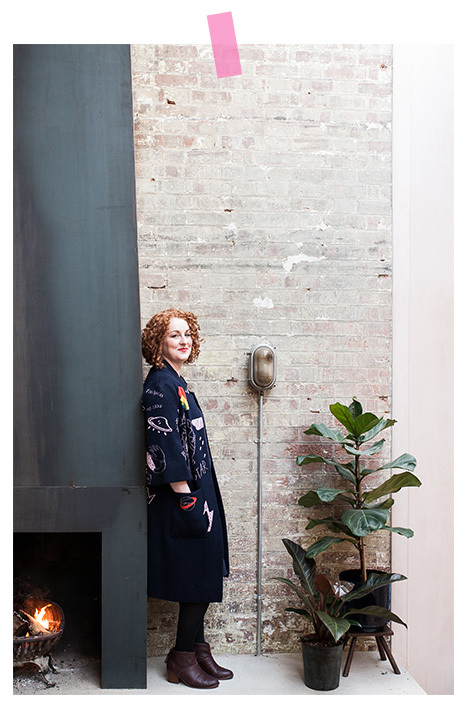 Here we interview Tracey about the current collection, what inspires her and find out more about the people behind the brand. QUALITY IS VERY IMPORTANT TO US. OUR MOTTO IS ‘BUY ONCE, BUY WELL, PASS IT ON’. HOW DID THE BONNIE MOB FIRST COME TO LIFE? The Bonnie Mob started out as Bonnie Baby in 2005. 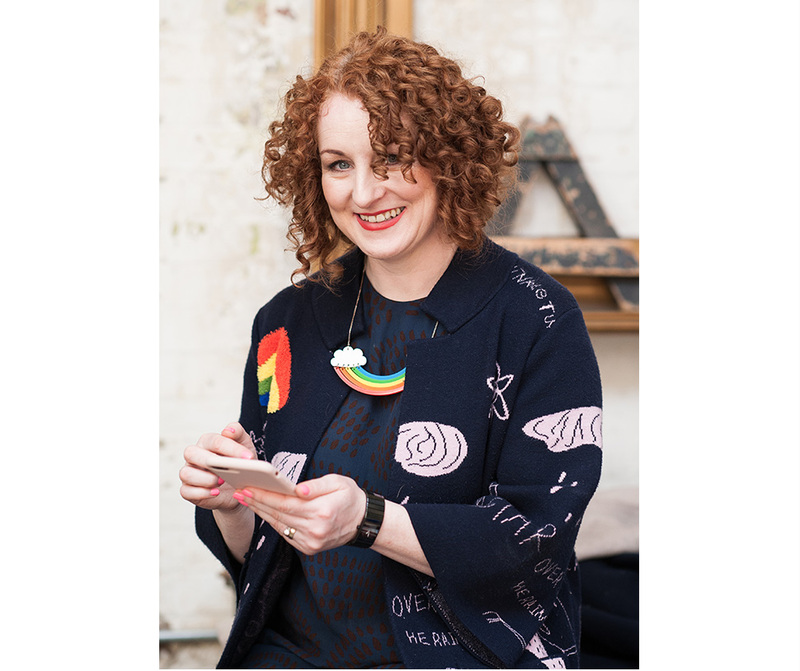 When I was pregnant with my daughter Alice, I couldn’t find anything I liked for my new arrival (13 years ago there was a very limited designer baby and kidswear market). I was a womenswear designer for Sonia Rykiel in Paris at the time and was doing a crazy commute from Brighton to Paris every week. The reality of a newborn and the logistics were too much for me to continue that life. Bonnie baby was a way to keep me creatively busy! 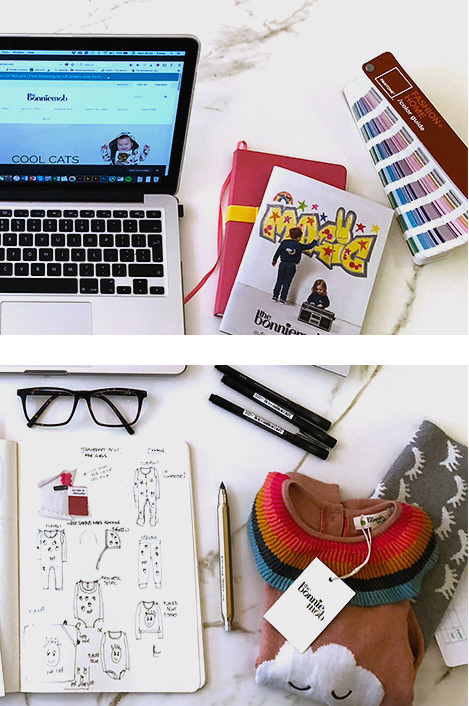 I put all my knowledge and experience from my years in womenswear into my new venture and the brand grew quickly to become the family business it is today. 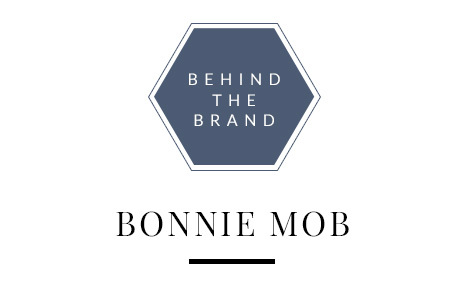 PLEASE TELL US ABOUT THE BRAND, THE PEOPLE BEHIND THE BONNIE MOB AND ITS CORE BELIEF AND DNA. The Bonnie Mob represents the freedom of childhood. The mood is colourful, playful and, above all, comfortable and durable. Knits feature strongly in the collection – I worked previously as a women’s knitwear designer and am a real knit geek! At The Bonnie Mob we use organic materials wherever possible and are committed to working only with high-quality ethical manufacturers. Quality is very important to us. Our motto is ‘buy once, buy well, pass it on’. Inspired by the clothes of my own childhood, we firmly believe in the longevity of quality clothes and love nothing more than seeing a customer with their third baby proudly wearing a Bonnie Mob sweater that was bought for their first child! 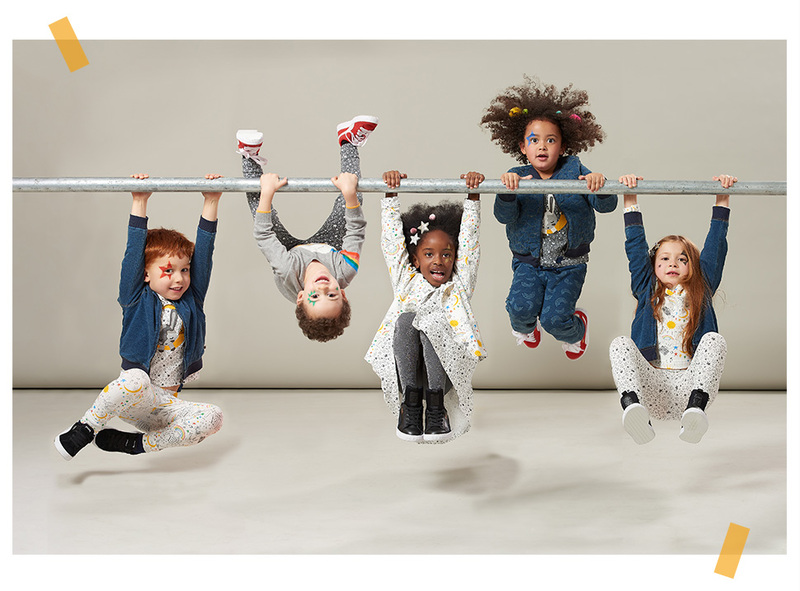 We started out as Bonnie baby, which was a bit of a nod to my Scottish roots, but, when we started to make clothing for older kids a few years ago, we re-branded and ‘The Bonnie Mob’ was born. 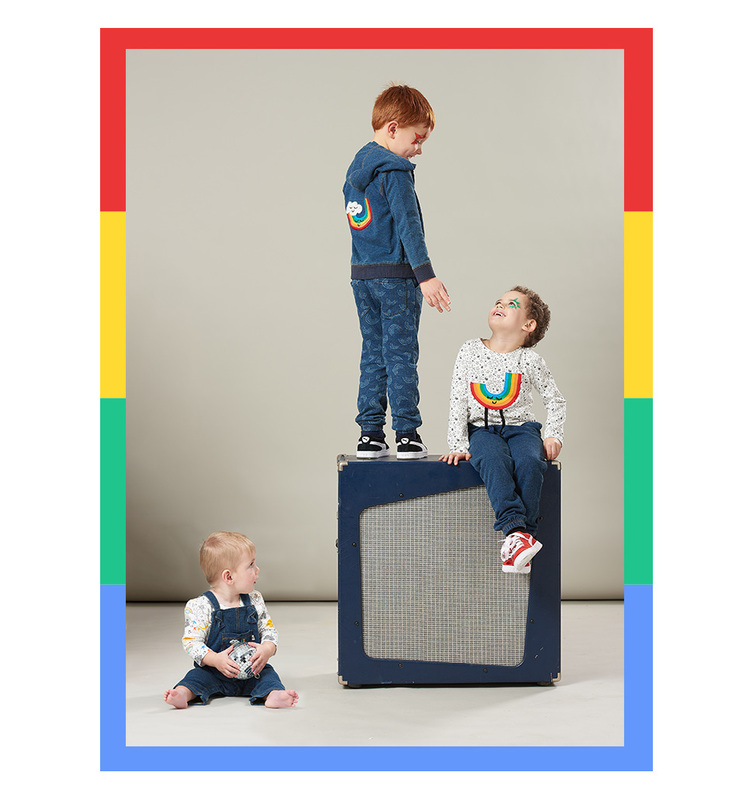 We kept ‘bonnie’ but wanted our name to reflect all the ages and playfulness of the brand, so ‘mob’ represents our gang of colourful, adventurous kids from babies to 7-year-olds. Colour is always a starting point, but I’m always inspired by travel and art. Also, hanging out with my kids gives me a real insight into what they like. 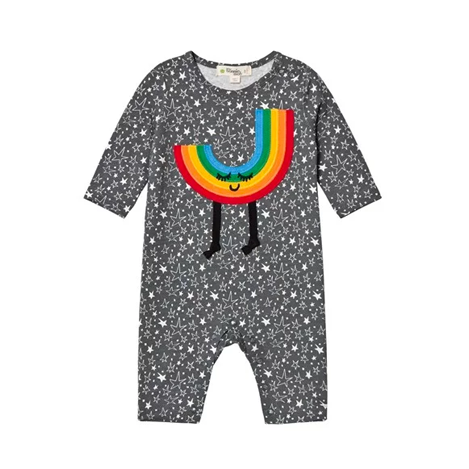 I love the freedom of designing for babies and kids, I can use colour more freely than I could when I designed womenswear. THIS SEASON I WAS REALLY INSPIRED BY THE BAZ LUHRMANN NETFLIX SERIES, ‘THE GETDOWN’. I love designing our motifs and prints, they can be nonsensical and humorous and interactive for the kids to play and enjoy. WHAT IS THE NEW COLLECTION INSPIRED BY? This season I was really inspired by the Baz Luhrmann Netflix series ‘The Getdown’. It’s a mix of the early days of hip-hop, combined with the glitter of Disco and the New York scene around that time. 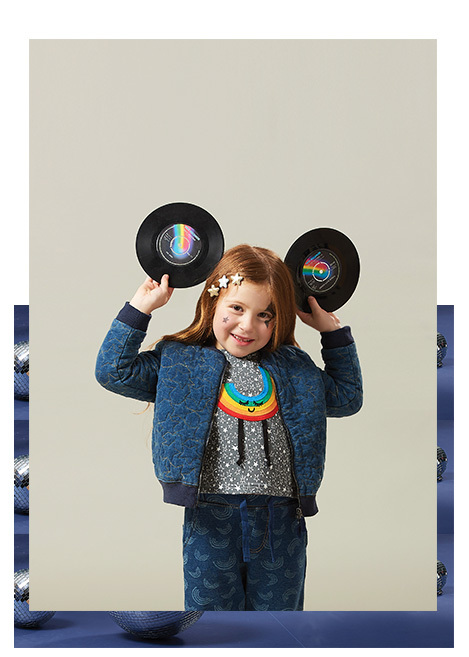 So you’ll find hand drawn prints with beatboxes, graffiti, fun rainbows and motifs. 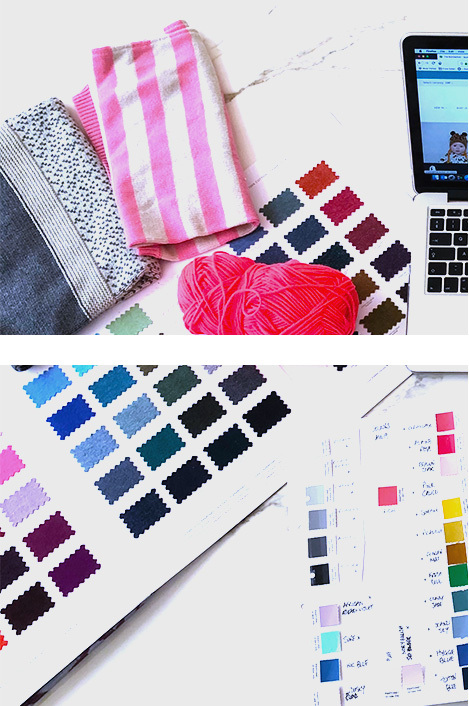 I always start with research and finding a theme that inspires me then I work on the colour palettes and select the colours to be used in each fabric and knit. I send initial ideas and prints to my factories to work on before turning those ideas and swatches into a collection of garments. 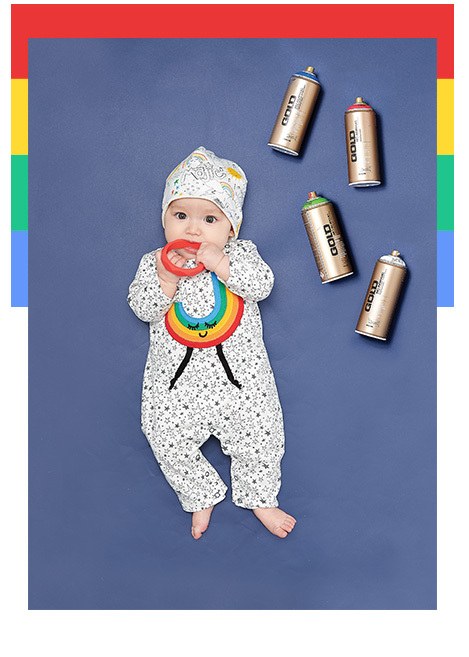 For me, the creative process ends with the excitement of the photo shoot, where we get to pull everything together to photograph on babies and kids, seeing it all come together and work as a whole collection. IF YOU HAD TO CHOOSE ONE KEY STYLE FROM THE NEW COLLECTION, WHICH WOULD IT BE AND WHY? 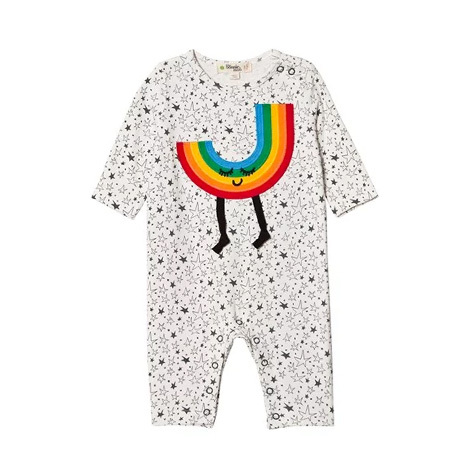 I love our organic cotton Chuck playsuit, with an all-over star print and a placed applique rainbow dude with dancing 3D legs. It’s simple and playful with a splash of colour. WHAT ARE SOME OF THE ECO-CONSCIOUS AND ETHICAL ELEMENTS IN THE NEW SEASON COLLECTION? All of our jersey and sweatshirts are made from certified organic cotton, our knits are made from natural fibres, we never us harmful dyes and only use the smallest amounts of nylon (when we have to for technical reasons). Even our hangtags are made from recycled paper and, new for this season, we have made all our plastic bags from compostable biodegradable materials. EVEN OUR TAGS ARE MADE FROM RECYCLED PAPER, AND NEW FOR THIS SEASON, WE HAVE MADE ALL OUR PLASTIC BAGS FROM COMPOSTABLE BIODEGRADABLE MATERIALS. I’d love one of those Instagrammable minimalist desks but, alas, mine is very messy!! It depends on my mood, I like BBC6 music during the day and if I’m concentrating on design it’s good to have uninterrupted music so I have lots of playlists with everything ranging from old school hip hop to Prince and Fleetwood Mac. Sketchbook, pens and a lipstick. HOW CAN KIDS AND PARENTS HELP TO REDUCE OUR ENVIRONMENTAL IMPACT? Buy once and buy well, I’m really not a fan of fast fashion. I hate to see bad quality clothes that seem to be designed only to wear a few times and be discarded. Try to reduce your consumption of nylon and polyester clothing, those items are never going to degrade and will pollute our planet as much as plastic bags. Go with your gut. The older I’m getting, the more I’m trusting my intuition. Do what feels right you won’t regret it.